Welcome to the Dietetic Internship website at California Polytechnic State University - San Luis Obispo (Cal Poly). We appreciate your interest in our internship and we hope that you find the website helpful. The internship is housed in the Food Science and Nutrition Department at California Polytechnic State University, San Luis Obispo. Our internship rotation sites are located in two counties in the Central Coast of California: San Luis Obispo and Santa Barbara Counties. 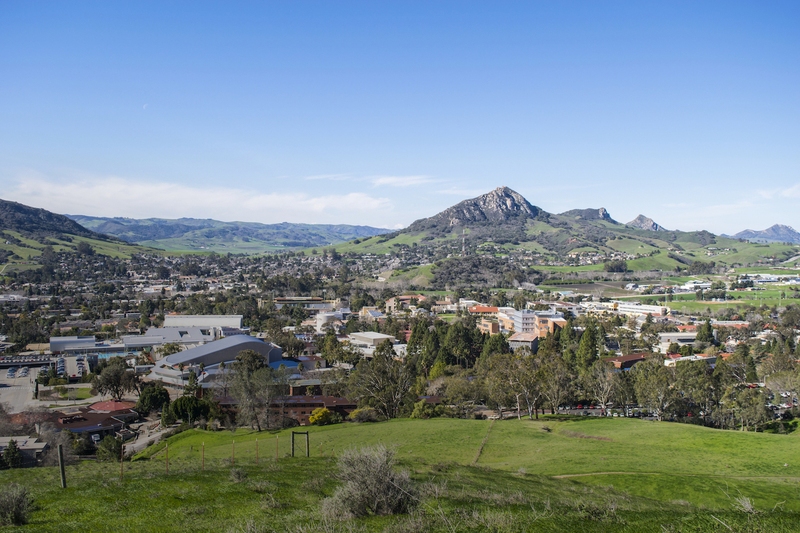 Cal Poly is located in the city of San Luis Obispo, a community of about 44,000, which is located in an area of extraordinary natural beauty as well home of one of California's most popular attractions, Hearst Castle. San Luis Obispo has a delightful downtown with great dining, shops, nightlife, art center, Mission Plaza, and historical walking tours. In addition beautiful beaches are located approximately ten minutes away by car. The internship will also have rotation sites in Santa Barbara, which is world famous for its breathtaking setting. The dramatic mix of mountains, valleys, beaches, islands and ocean define its natural beauty. Santa Barbara has world-class performances of music, opera, dance and theater year round. It is also one of the top five art colonies in the west. It has opportunities for participating in many restaurants, first-rate golf courses, tennis, polo, horseback riding, cycling, hiking and offers many opportunities for participation in water sports. Cal Poly, SLO Dietetic Internship has been granted developmental accreditation by the Commission on Accreditation for Dietetics Education (CADE) of the American Dietetic Association, 120 S. Riverside Plaza, Suite 2000, Chicago, Illinois 60606-6995, 800/877-1600. For the class of 2019-2020 we will admit 10 interns. Enrollment will be completed by our office for all interns. A $25 late fee will be charged for each installment that falls past due.